Great for your whole group! Great for your whole group! Can be used on the wrist or ankle. Straps measure 1”W x 9”L with Velcro® at each end. 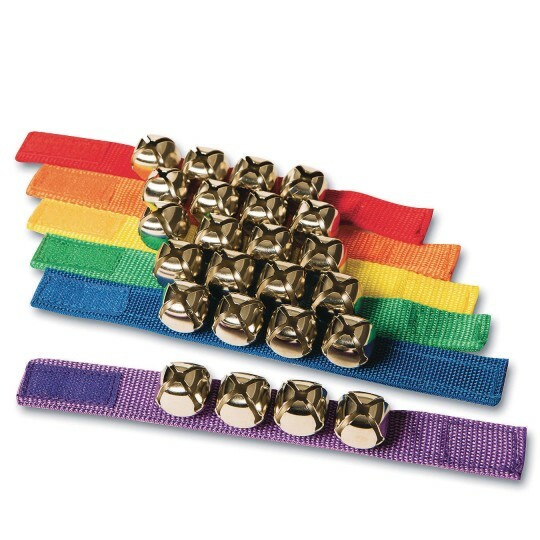 Set of 6 includes one of each webbing color; red, yellow, blue, green, orange, and purple. Each strap has 4 bells.